Perhaps the biggest fear I have in this life is that when I have a child he or she will come home one day talking about how good Manchester United is, or even worse wearing a Sunderland shirt (unlikely but still scary). Would the officer sympathize with me and understand why I smacked the poor kid over the head? I have an acquaintance, a devoted Red Devils supporter who's 12 year old son's bedroom and closet are filled with Chelsea FC posters, cloths and memorabilia. It all started when they were at a store and the kid asked his dad to buy him Chelsea pajamas and the man caved. 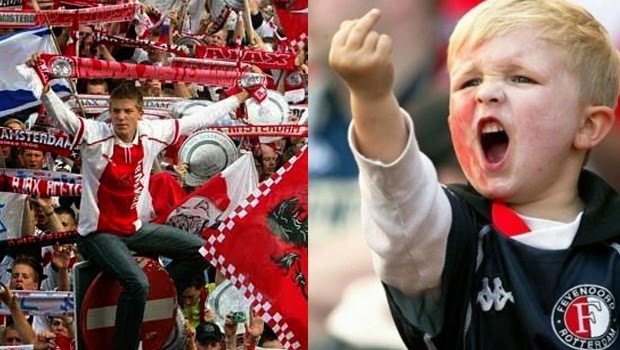 The kid told his father that he likes the club and thinks that they are better than the old man's United. That moment should have been the make or break of the kid's future wearing blue colors, chanting Didier Drogba's name, if only his father stood his ground and told the (then) 8 year old who's the boss. But instead, like a deer in the headlights I imagine, the shocked parent picked up the sleepwear and watched in disbelief as the cashier rang a product he never imagined having in his house, let alone paying for it. The thought of my child going against the club I admired since I was a little boy scares the crap out of me. So how do I make sure this never happens to me? When me and my wife moved in together originally when we were just dating I noticed a duffle bag she had brought in, a green sports bag with the Manchester United badge on it. When I asked her what the hell that was, she could not understand why I was so upset because she clearly had no clue what the little ugly devil with the boat hovering over his head represented. Needless to say, that object quickly found the bottom of the garbage chute. That's right. This kid knows what's up! His team is losing and he is not happy! There was some good football parenting involved in his upbringing. But with children it becomes a bit more difficult. My wife, who had not followed football prior to meeting me was easy to "shape". She can now name certain Toon players and knows that match-days are sacred. But how do I deal with a kid I will most certainly have in the very near future? FootyFair's other two writers Pedro and Iain seem to have done a decent job raising their youngsters. Pedro's boy plays football and sports Benfica's gear. Is it due to the fact that his father wouldn't have it any other way? Or perhaps the fact that there's SLB scarfs and posters plastered all over the TV room in the basement? Iain it seems would have had a tougher time since his kid is a girl, but she sports a Manchester United jersey like she own the damn team, so that turned out alright as well. 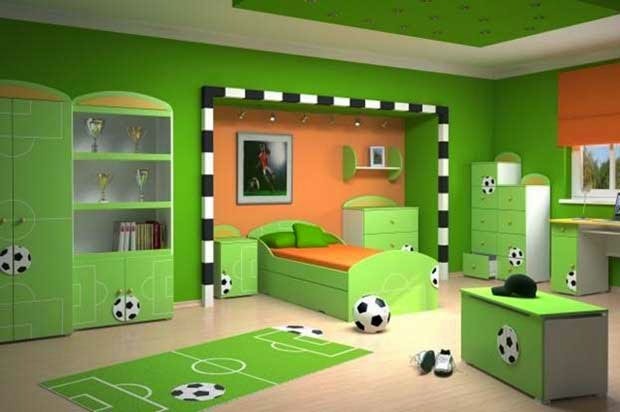 While nice, this child's room design is way too generic. How will you make sure your kid supports your club? Baby clothes - Buy as much Newcastle United baby gear as I can get a hold of. Match-day - Much like homework, this is a must! If most parents can make their kids sit through hours of math and history, I should be able to get my kid to watch the Magpies play for a couple of hours per week. History - Teaching the child about the history of the club is important. This is key to making them understand that football is much more than just super-stardom and "swag". To the stadium - I guess making sure that the child's first live match is at the stadium of the team I support could also be very beneficial. Nobody ever forgets their first stadium experience. No rival team gear - I collect football shirts, but would never buy a jersey of a rival team, so there's no reason why my kid should be allowed to have any other team's gear at my house. Zero tolerance policy will be enforced on this rule! I would probably even go as far as having their friends go home to change if they ever showed up at our home with a club jersey I dislike.